I had the same idea for an app a couple of years ago. They did it first, and it is awesome. This new map app offers pedestrians detailed route information and that takes into account the user’s level of mobility. 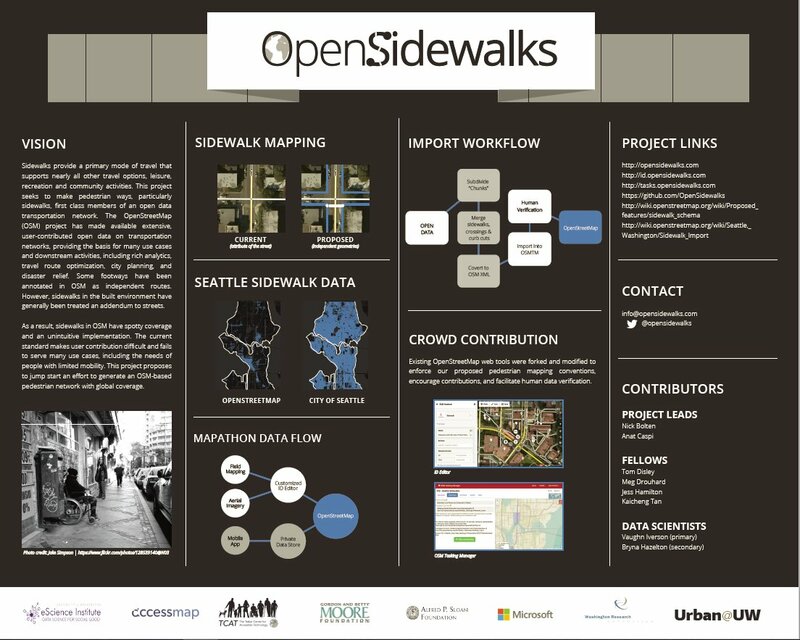 Tailor-made for city walking, the Seattle-based app, called AccessMaps, offers pedestrians detailed route information like sidewalk interruptions and takes into account the user’s level of mobility. For someone with limited mobility, using the sidewalk in a new area can be like driving with no directions, hitting dead end after dead end: there are many obstacles that can prevent access (no curb ramps, too steep of hills, bad surface conditions) and there are next to no resources available that provide this information. The goal of AccessMap is to enable safe, accessible trip planning on pedestrian ways for people with limited mobility. To meet that end, the people working on the AccessMap project develop tools for trip planning as well as tools for gathering and maintaining open data about sidewalks, curb ramps, construction information, etc. What the App does is revolutionary because most map applications focus on things like traffic density and finding the fastest route, but very few identify barriers for pedestrians. Collecting data for maps that optimize walking routes is not an easy task, but AccessMaps went “all in”, spearheaded by the Taskar Center for Accessible Technology at UW, provides detailed information like the grade of hills and the condition of the pavement, allowing users to put in their mode of mobility and set limits on how steep of an incline they can handle, by identifying routes that optimize not just for time or distance but for things like changes in elevation and curb cuts, making a really big and important change.